Other than the eight teams participating in the Diamond Head Classic, there will be a three-day break from action beginning on Sunday. Here are 10 things to watch while binging to basketball and Christmas carols on Friday and Saturday. How concerned should Texas be with its offense? 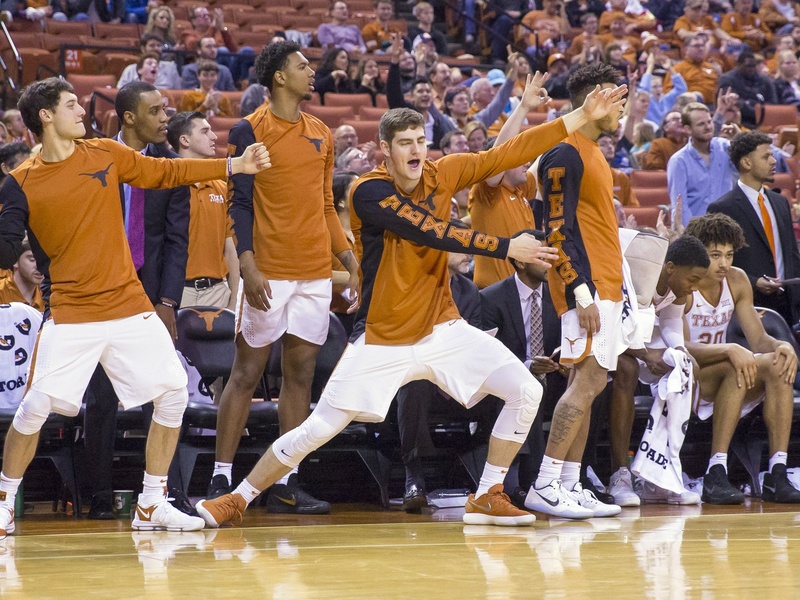 Texas currently ranks among the bottom 20 nationally in both three-point and free-throw percentage, is 141st in adjusted offensive efficiency, and only one Big 12 team since the 2006-07 season has finished conference play with both a winning record and offense outside the top 100 (2014 Kansas State). Will the third time be the charm for Northern Iowa? Northern Iowa and Xavier met twice in a span of six days last season with the Musketeers handily winning both games. Xavier held Northern Iowa to 32.7 percent shooting on two-point attempts while forcing the Panthers’ third- and fourth-worst turnover rates last season. The one thing going for Northern Iowa? Xavier has only played one true road game so far this season (a win at Wisconsin). What will Trae Young do next? Oklahoma’s Trae Young is coming off of a 26-point, 22-assist game against Northwestern State earlier this week. The sensational freshman guard currently leads the country in both points and assists per game, and no player has finished among the top 10 nationally in both categories dating back to the 2001-02 season. Only five players have finished among the top ten in scoring and top 20 in assists over that same time period. What’s next? 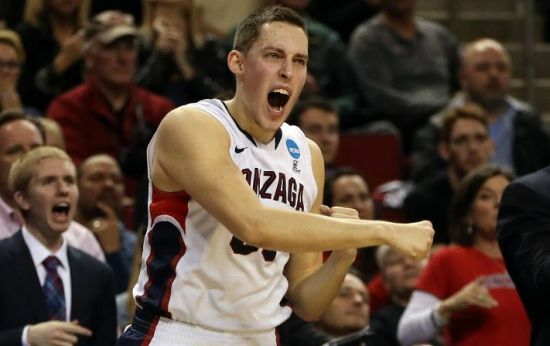 In eight games against the KenPom top 60, Gonzaga has gone 1-7 with four of those losses coming at The Kennel. Conversely, the Bulldogs are a perfect 20-0 in the rest of their games. In determining their status on the bubble, the Zags are in a difficult spot because of a combination of zero signature wins without any corresponding bad losses. Gonzaga’s national brand name makes it unique in how it can schedule, but most other mid-major programs don’t get the chance to notch resume-building wins nearly as often as their power conference peers. Michigan, one of the Zags’ primary competitors on the bubble, will play 13 games against the top 60 this season, including six opportunities at home (five games against Big Ten teams). A different mid-major on the bubble cannot use multiple opportunities late in the season to enhance its resume — it can only avoid bad losses. It’s been a rough first month of the season for Wichita State, as the preseason top-10 Shockers have struggled mightily in non-conference play. After ankle and hamstring injuries to point guard Fred VanVleet and five losses in their first 11 games, the Shockers aren’t even receiving any votes. VanVleet was absent for three of those defeats and Gregg Marshall‘s group managed to pick up two nice non-conference wins over UNLV and Utah once he returned, but their loss on the road to Seton Hall last weekend raised continued concerns about the Shockers’ postseason hopes. 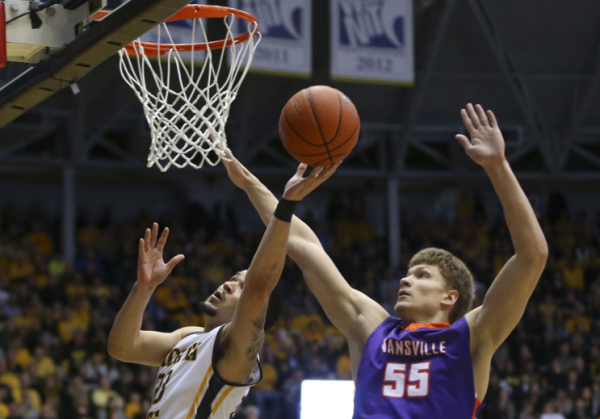 Wichita State has just one game to go before Missouri Valley play begins, so Marshall will need to right the ship quickly if his team wants to make its fifth straight NCAA Tournament. The solution, though, begins with identifying the problem. So, what’s the matter in Wichita? 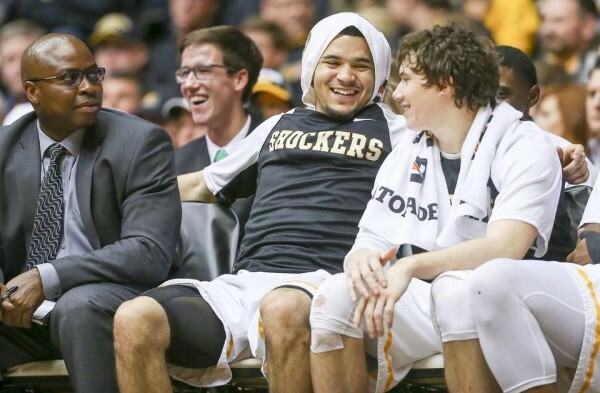 The obvious place to start is with the injuries to VanVleet, the Shockers’ on-floor captain of the ship. It’s easy to attribute three of the team’s losses to those injuries given that VanVleet didn’t play in those games, but Wichita State also lost twice this season with him in the lineup. Dating back to October, the senior has been dealing with injuries that have affected his ankle and hamstring. The result has been a clear lack of explosiveness that has contributed to a nearly 20 percent drop in his shooting percentage at the rim. According to hoop-math, VanVleet has converted on just 34.5 percent of his layups this season. Time to heal, though, appears to be the optimal solution. VanVleet scored 13 points in the Shockers’ dominant win over Nevada on Tuesday by forcing the issue and getting to the foul line 12 times. “That’s the most burst I’ve shown in a while,” he said afterward. His head coach agreed: “That’s the best he’s looked to me,” Marshall said. VanVleet hinted that his recovery is still a work in process, but it’s one that appears to finally be showing some improvement on the court. Don’t look now, but college basketball season is only seven months away! Okay, so that may seem a bit far off, but it’s never too early to gin up a little excitement for the sport we love. Let’s examine a few O26 teams that are sure to make some noise in 2015-16. Wichita State. Fred VanVleet is back. 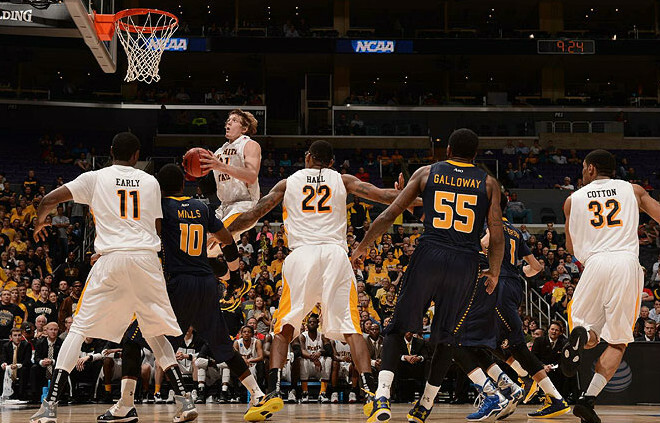 Ron Baker is back. As is Gregg Marshall, much wealthier after a sizable pay raise. With one of the country’s top backcourts and most sought-after coaches rejoining the fold, it almost goes without saying that Wichita State – on the heels of three-straight program-defining seasons – should be very good again next season. Of course, the Shockers will have to adjust to life without guard Tekele Cotton (9.8 PPG) and big man Darius Carter (11.4 PPG), but the late-season development of Evan Wessel (12 points against Kansas in the NCAA Tournament) along with forward Shaq Morris (4.7 PPG) should help mitigate those departures. So too should the addition of Kansas transfer Conner Frankamp and a solid recruiting class. Expect another year of big things from Wichita State next season. 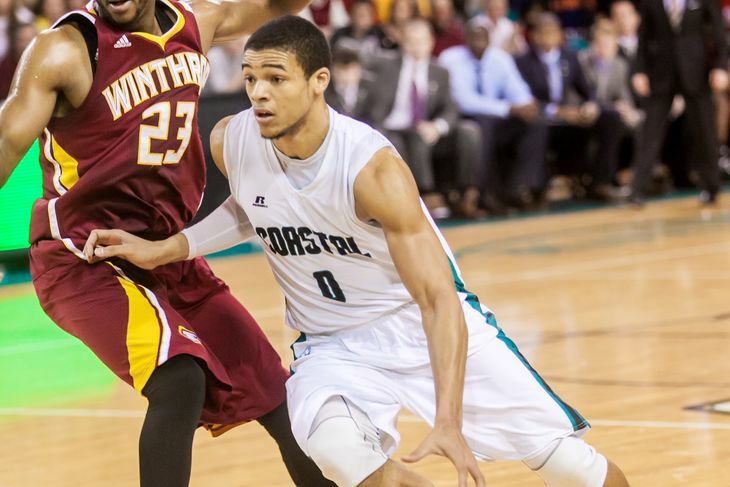 Strength: Coastal does not have great size but it does have an excellent guard quartet which accounts for two-thirds of the team’s scoring. Josh Cameron, Warren Gillis, Elijah Wilson and Shivaughn Wiggins – a Mount St. Mary’s transfer – each averages between 10.3 and 12.9 points per game and is a capable outside shooter. Their quickness and dribble-penetration abilities create kickouts and plenty of free throw opportunities, where the Chanticleers shoot a healthy 70.3 percent on the season. Despite ranking 301st nationally in effective height, the Big South champs are also a top-50 offensive and defensive rebounding team. The Wichita State Shockers are looking to make some more history. After finishing the regular season undefeated at 31-0, becoming the first team to accomplish the feat since Saint Joseph’s in 2004, the Shockers look to become the first team to enter the NCAA Tournament unbeaten since UNLV pulled off the trick in 1991. Will Wichita State succeed in its pursuit of perfection? Based on its dominance of Missouri Valley Conference foes this season, you’d have to think the odds are in the Shockers’ favor to run through Arch Madness. Only three league opponents stayed within single figures of Wichita State this season, and just one — Missouri State — played them within six points. That 72-69 overtime win came on January 11 after the Shockers had rallied from 19 points down with 11:48 left in the game. Otherwise it’s been mostly an exercise in cruise control for Gregg Marshall’s team. Those numbers don’t really inspire much confidence for a shocking winner this weekend. In fact, Ken Pomeroy gives Wichita State a 78 percent chance to earn the league’s automatic bid. Fred Van Vleet and the Wichita State Shockers look to remain unbeaten through the MVC Tournament. Let’s take a look at the Shockers’ likely path in the MVC Tournament. First up will be the winner of the #8/#9 game between Drake and Evansville, which tips off this evening. In the four games Wichita State played against the two opponents this season, the Shockers won by an average of 19 points with the closest an 81-67 victory against the Aces on February 1. There’s virtually no way that Wichita State drops its quarterfinal game, as KenPom gives the Shockers a 95.2 percent chance of advancing to the semifinals on Saturday. That’s where Wichita State would meet either Missouri State or Illinois State, depending on Friday’s result between the two. Sure, the former gave the Shockers quite a scare two months ago before capitulating in overtime, but Wichita State rolled through the Bears in the return game last Saturday, winning by 23 points in the regular season clincher. The Shockers beat Illinois State by an average of 17 points in their two meetings this season as well. KenPom gives Wichita State an 87.4 percent chance to advance to the title game here. The Shockers now have a reasonable chance to become the first team in 23 seasons to head into the NCAA Tournament without a loss on the resume. Defending national champion UNLV finished the regular season at 30-0 before falling to Duke in the 1991 Final Four. The 2004 Saint Joseph’s squad, led by Jameer Nelson, finished regular season play at 27-0 before falling in the first round of the Atlantic 10 Tournament. And recall Murray State started out 23-0 just two years ago before falling at home to Tennessee State in mid-February. So if we’re talking regular season here, the Shockers are chasing a feat that hasn’t been accomplished in a decade. And what an accomplishment it would be. Welcome to this week’s RTC Podblast, hosted by Shane Connolly (@sconnolly114). It was a week of big rivalry games from Michigan-Michigan State to Duke-North Carolina to Kentucky-Florida and UConn-Syracuse. We hit on a few of these during this week’s podblast, while also finding some time to discuss the MVC and Creighton and looking ahead to what can only be described as a fairly miserable lineup of games over the weekend. Oh well, there’s always next week… this week’s outline is below. Back in January, there was a time where we thought we actually knew what was going on in the Missouri Valley Conference. We were confident that Creighton was a top-10 team and that Wichita State was nearly as good as the Shockers of a year ago. Surely Illinois State had been exposed as a fraud, a once trendy sleeper pick to win the league before losing their first six conference games. And our early January convictions on Missouri State? Entering conference play without a D-I win, the Bears looked like one of the worst teams in the country, much less the Valley. Well, at least Evansville and Northern Iowa have avoided confusing us too much over the past month. 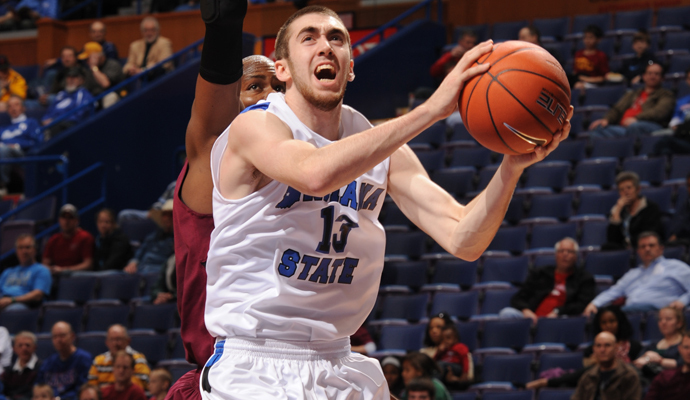 The constantly evolving complexion of the conference took on yet another look Tuesday night, as Indiana State suffered a costly 67-65 loss at the hands of Missouri State. The Sycamores had been one of the league’s positive stories of late, as a recent surge had them entering Springfield as MVC co-leaders. If you are looking for narratives from the other side of the ledger, look no further than those of ISU’s fellow top-of-the-Valley dwellers, Creighton and Wichita State. The Bluejays have toiled through multiple losing streaks in the past month, and in what should be a daunting task, will take the floor at the McLeod Center tomorrow night seeking to avoid stretching their current losing streak to three. Wichita State can tell the Jays all about three-game losing streaks, as a mind-numbing loss to Southern Illinois highlighted the Shockers’ recent skid. Wichita and Creighton are still far closer to being in the field of 68 than out, but if current trajectories hold, it won’t be long before these losses become as crippling as Indiana State’s was tonight.